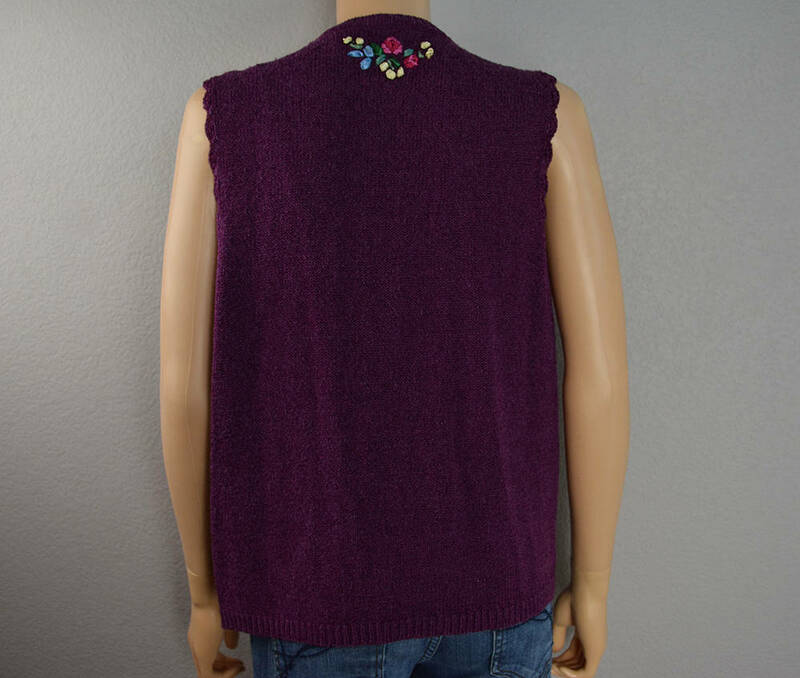 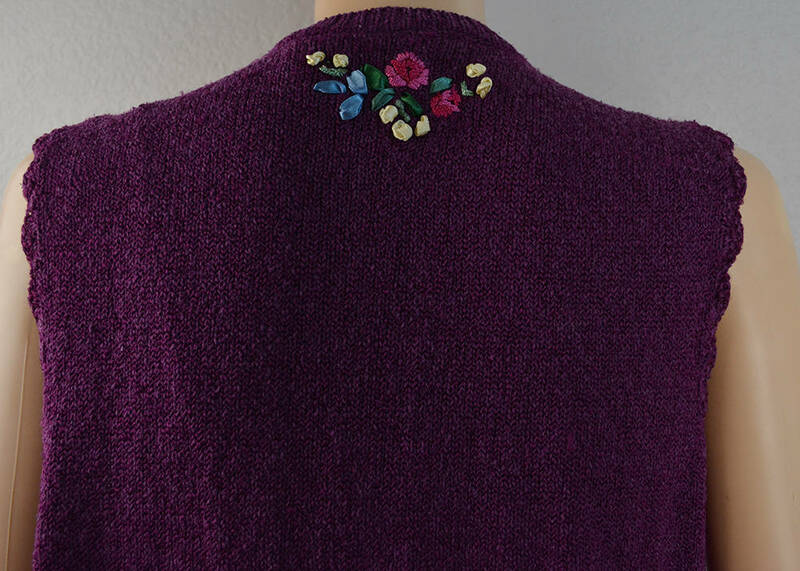 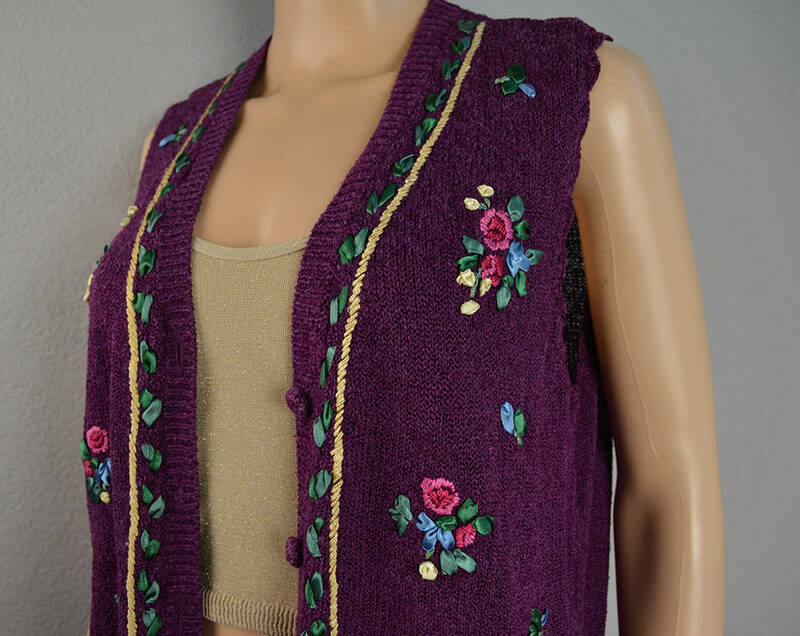 Adorable and sweet floral embroidered and embellished sweater vest from the 90's for sale. 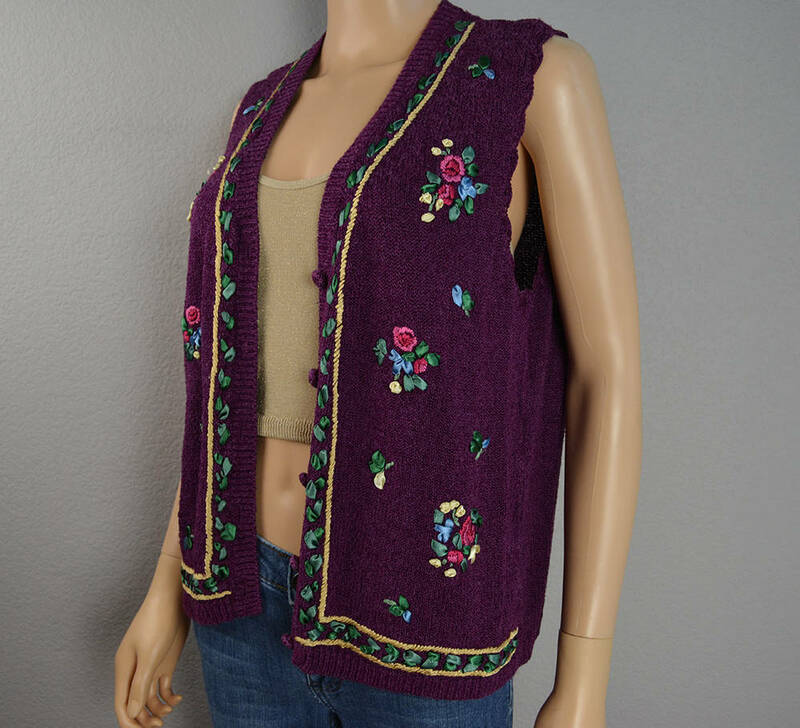 This is oh so cute and would look really cute layered over a bodysuit with some high waisted shorts. 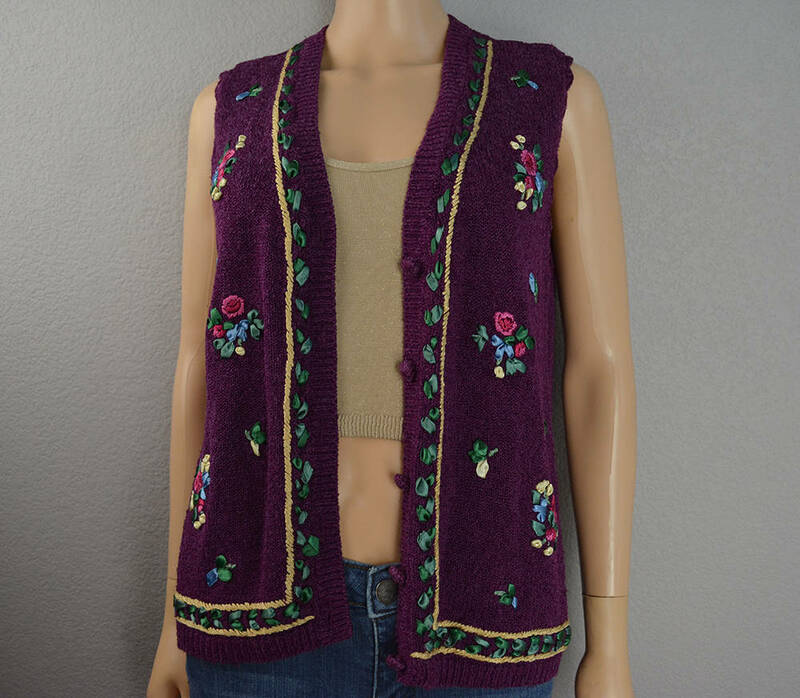 In excellent vintage condition.